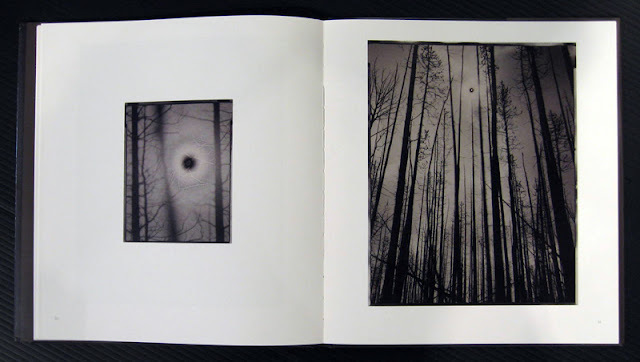 Two of the photographers in our current group exhibition Solar, Chris McCaw and Sharon Harper, have recently published books. Both turned out beautifully and are great compliments to the exhibition. McCaw's book, Sunburn, published by Candela Books, features a beautiful selection of McCaw's one-of-a-kind sunburned, black & white zen landscapes produced with his handmade cameras. Using paper negatives instead of film, McCaw exposes his landscapes for a very long time, long enough for the negative image to solarize and turn into a positive, long enough for the heat of the sun to burn a hole into the photograph. When designing the book, special care was taken to reproduce the subtle nature of McCaw's work, the details that make his photographs so breathtaking and unique. 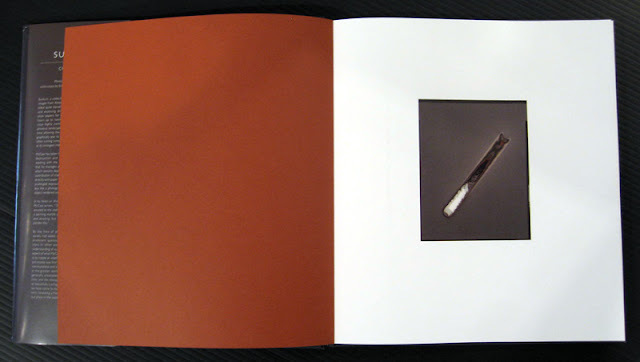 Anne Kelly: How does it feel to have a book of your photographs published? Chris McCaw: Really good. First one! It ended up being the right move to wait until I got the work to a point where I felt comfortable. Initially I was thinking of doing a book right away. The reality is that I am still experimenting and trying different aspects of this process. There is still learning happening. So it was difficult to know when to finally make the move and do it. But with the trips the Arctic Circle and the trip to the Equator under my belt, I felt my work was at a good spot. Also that eclipse last May really sealed the deal. AK: Tell us a little bit about the process of making the book. CM: Well, this being my first book, I thought I was prepared... All the stories I have heard from fellow artists about the process over the past few decades, I thought I was well aware of all the possible issues. In the end I think I was well prepared, but there were still some bumps in the road and now I get the feeling no two books go off the same way. I was lucky enough to be able to have Gordon Stettinius, my friend and publisher, have the book printed in the States and to make sure I was on press. My works are so weird and abstract and they could be interpreted in so many ways from screen to print. Signed off calibrated digital proofs are NOT ink on paper! They are completely different animals. As I realized this, I also realized the enormous cost of production -- with every change, there is lots of cost. But it was well worth it to be there as the pages get printed. If I hadn't been, it would have been and entirely different book. On the design end it was great to be able to work with just three people -- Gordon and Angeline and Charlie of Scout Design in Richmond, VA. Working with such an intimate group of thoughtful and detail oriented folks who help work through your ideas for the book is extremely important. From what I have gathered from others experiences, I had a fairly rare experience. Also, with Gordon indulging me with all the bells and whistles in the book made for a mostly profitless endeavor, but also made something really special. 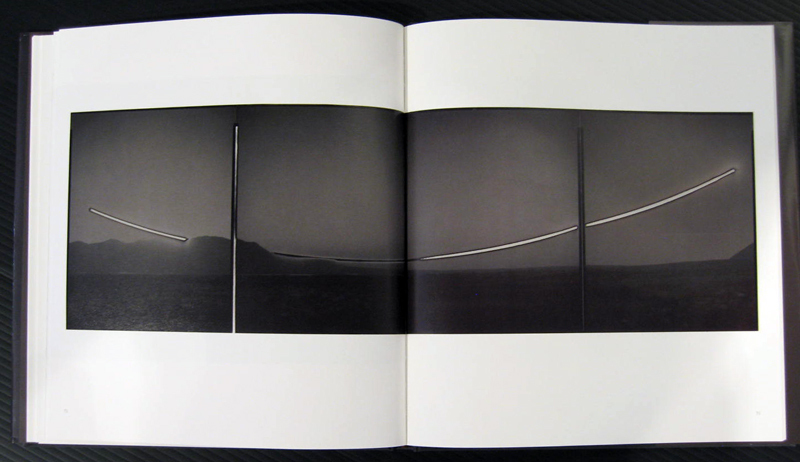 AK: Do you have any advice for photographers who would like to have a book of their work published? CM: You will make no money from the book itself. Its purpose is to help get the work out there, hopefully gaining exhibitions and selling some work. My favorite question when I first mentioned doing my book was, "How much of an advance did the publisher give you?" I responded with laughter. Printing a book is a big deal, not just in terms of the costs, but in terms of the importance of that body of work. Don't rush it. Wait till you have all the work that says what you want it to say. Be patient so it can be something you're really proud of. There will be some bodies of work people love, but publishers do not. They have to think about the work in a different way than you might. Also not everything needs to exist in book form. I came to terms with that a long time ago, hence a first book at 40. The economics of a book are insane and don't take it personally if they shoot you down. Oh yeah, and they ARE going to shoot you down... many times. But that being said, you don't have to listen to the "experts" if they pass on your project. Best thing to do is to prove them wrong. Prove everyone wrong if you can. That goes for most things in life. AK: Anything extra you would like to add? CM: PLEASE do not buy my book through Amazon! Give your money to the folks at photo-eye and Candela Books and support the people who are supporting artists! And get back in the darkroom! A selection of McCaw's work can currently be seen as part of Solar on exhibit at photo-eye through the end of November and features the work of seven photographers. A portfolio of work from the show can be viewed here. 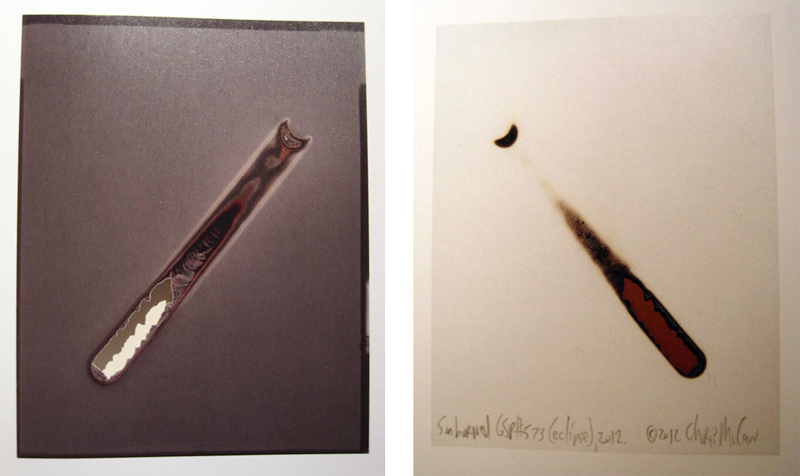 For additional information about Chris McCaw or to acquire a photograph, please contact the gallery at (505) 988-5152 x202 or by email.